The Waterford golfer reached the turn in one-under 34 but then encountered trouble at the start of the back nine. Having found the rough at the 11th, the Irish Boys champion shanked his recovery. Unsettlingly, he did the same thing at the next hole in a run of double bogey, double bogey, bogey. After that, the 17-year-old did well to compose himself and sign for a second consecutive 75 that left him seven shots behind Italy’s Guido Migliozzi on 10 over par 150 heading into the final round. The 16-year old Italian not only extended his overnight lead but also enjoyed a hole-in-one on day two, carding a best of the day 70 to lead by four shots on three over from England’s Jack Singh Brar (72). Undoubtedly the high point of Migliozzi’s round came at the par three sixth where he holed out with a seven-iron from 176-yards. With a two round aggregate of 150, Dawson finds himself tied fourth alongside Norway’s Kristian Johannessen (76), while Bradley Neil moved up to third after a 74 moved the Scot to within six of Migliozzi’s lead. The Duke of York Young Champions Trophy is in its 13th year and is an invitational event where the National Champions at under-18 level from around the world are invited to compete. There is a handicap limit of two for the 54-hole strokeplay event where elite level boys and girls compete. This year 31 countries are represented in the 55-player field. Winner Robin Dawson drives from the 10th tee during the final round of the 2013 Irish Boys Amateur Open Championship at Lisburn Golf Glub. 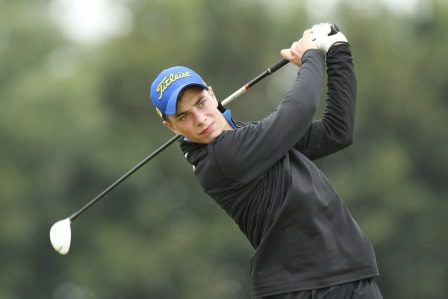 Picture by Pat Cashman Faithlegg’s Robin Dawson recovered from a 72nd hole nightmare reminiscent of Padraig Harrington’s at Carnoustie to win the Irish Boys Amateur Open Championship after a dramatic three-hole playoff with England’s Marco Penge at Lisburn. 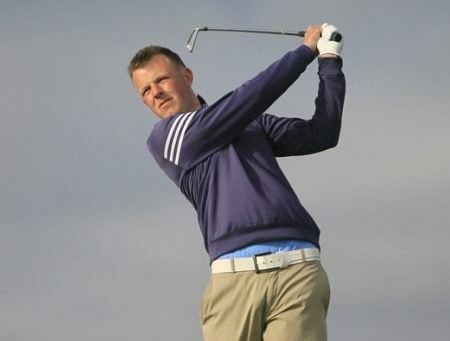 Paul McBrideThird round defeats for Faithlegg’s Robin Dawson and The Island’s Paul McBride ended Irish interest in the Boys Amateur Championship at Royal Liverpool Golf Club.